'My baby was born totally white and silent' Jump to media player Wilder's brain was injured due to a lack of oxygen at birth, now researchers want to find out the long-term impact. 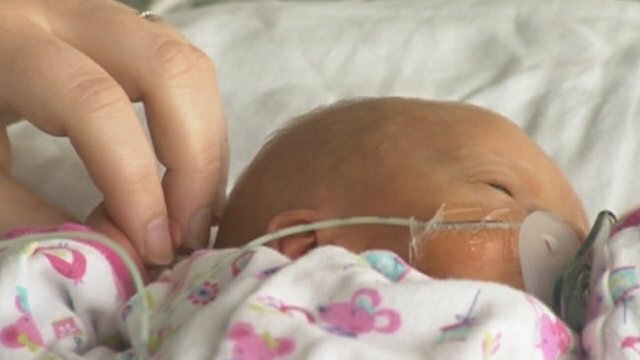 Early birth health risk to babies Jump to media player Babies born as little as two or three weeks early are more likely to have health problems in the first few years of their lives, a study suggests. Pantomime brings hospital smiles Jump to media player Performances last an hour and give families an escape from their treatment. Volunteers help patients exercise Jump to media player Studies have found patients can leave hospital half a day earlier if they are able to exercise while on the ward. When Beth Kendall's son Wilder was born, he was immediately rushed to a special care unit after being starved of oxygen. He suffered a type of brain injury, known as Hypoxic-Ischaemic Encephalopathy (HIE), a condition which affects one in every 1,000 babies when they are born. Two years later and Wilder, who is from Poole in Dorset, is doing well, but not enough is known about his long-term prognosis. Researchers at the Princess Anne Hospital in Southampton are fundraising so they can carry out additional work that will give parents a more detailed diagnosis.